Ezekiel’s Prophecy regarding the Messianic dedication services in the 3rd Temple The Haftarah is read from the book of Yechezkel (Ezekiel), 45:18-46:15. The connection of the Haftarah to Parshat (portion of) Hachodesh: This Shabbat’s (Sabbath’s) Haftarah is the last of the 4 special Haftorah's read before Pesach (Passover). They are Shekalim, Zachor, Parah & Hachodesh. The Maftir (Special supplemental reading) of this week is named Parshat Hachodesh (taken from Shemot (Exodus) Ch. 12:1-20) where Hashem, (G-d) told Moshe (Moses) that the Month of Nissan will be the month of the redemption of the Jewish Nation from Egypt. Each Jewish person has to prepare a lamb or goat for the Pesach sacrifice. Then Moshe was taught all the laws concerning the holiday of Pesach. The Haftarah speaks of a time that is yet to come. It speaks of the dedication ceremony for the third and final Holy Temple that will begin on Rosh Chodesh (New Month) of Nissan. When the Jews were about to leave Egypt the Month of Nissan symbolized the beginning of a new era. When the Mashiach (Messiah) comes, Nissan too will be the beginning of a new era. The storyline of this week’s Haftarah: Introduction: This Haftarah takes place in the future. The prophet Ezekiel speaks of the time that the 3rd and Final Bait Hamikdash (Holy Temple) will be standing. Prior to the beginning of our Haftarah, Ezekiel discusses the 12 tribes' division in the land of Israel. (See pictures). Ezekiel's prophecy explains how the Nassi will supervise the karbanos (sacrifices) in the 3rd Bait Hamikdash. In that time there will be a Levite portion and a portion for the Mashiach. The Haftarah begins with the Nassi (price or possibly the Messiah) or Kohen Gadol, High Priest, being responsible for the dedication sacrifices. The Nassi will officiate the sacrificial service. Ezekiel speaks of the future atonement sacrifices and offerings at the dedication of the 3rd Bait Hamikdash. During the dedication sacrifices, the Kohen (Priest) will take from the blood of the sin offering. An identical sacrifice is done on the 7th of the month for accidental contamination of the sanctuary. In the future, there will be sacrifices on Sukkot (Tabernacle) and Pesach. The Minchah offering will include an efah of flour and a vessel that holds a hin of oil. Identical sacrifices were brought on Sukkot. The Haftarah discusses the future dedication offerings for Shabbat and Rosh Chodesh, the New Moon: The Nassi or Kohen Gadol will enter via the hall of the gate outward and stand by the door post while the Kohanim bring his offerings. The people shall worship Hashem on Shabbat and Rosh Chodesh. Descriptions of offerings follow: Mashiach's offerings; The Shabbat and Rosh Chodesh sacrifices information; how the Nassi and the people will enter and leave the Holy Temple; The quantities of the dedication Minchah (Afternoon) offerings. Other descriptions are: how the Nassi is to enter and leave the Bait Hamikdash on weekdays; the daily offerings during the future dedication; laws concerning the Nassi's property; and the Kohen's chambers and other enclosures. In the future, the land of Israel will be divided into 13 parts: One part for each of the 12 tribes and the 13th part will be the Temple area for the Mashiach. The land will be divided equally by tribe vs. by population. All the land of Israel will be to the west of the Jordan River. 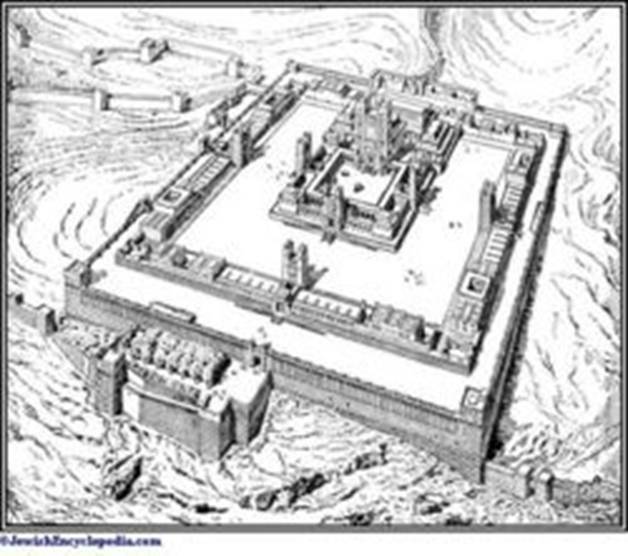 Beforehand, half of the temple was located in the tribe of Judah with the other half in the tribe of Benjamin. In the future, the Temple area will be in the Mashiach's state, and the tribe of Levi will have their own state. Was a Kohen, born in the village of Anatot surrounding Jerusalem. His wife died suddenly before his prophecies began. He prophesied just before the destruction of Jerusalem on Tishah Be’av (The 9th of Av). He was exiled in 597 B.C.E. Some of his visions were while he was in exile. He was a major prophet that recorded the warnings to the Jewish captives of Babylon. He was among 8000 exiles taken to Babylon by Nebuchadnezzar King of Babylon soldiers. He saw the divine vision of the Ma’aseh Hamerkavah (Hashem’s Throne). He was the only person in the Tanach (Bible) to be called "Ben Adam”, Son of Man. Yechezkel wrote his own 48 chapter book; his prophetic ministry lasted 20 years. Haftarahman's lesson of the week: This Haftarah is read on the first Shabbat during the month of Nissan. Nissan is referred to as "Rosh Chadashim", the first month of the year. The Holiday of Pesach will be here in a couple of weeks. As we clean our houses of Chometz, leavened bread, we must clean our souls of sins that we are enslaved to. It's the time for new beginnings! Pick one Mitzvah that you would like to increase doing and one averah (sin) that you commit to decreasing or eliminating. It's spiritually simple. Do more good and do less bad. Just as the Israelites left their slavery behind, we should leave our bad deeds behind, moving forward to the future with more mitzvot. Good Luck! 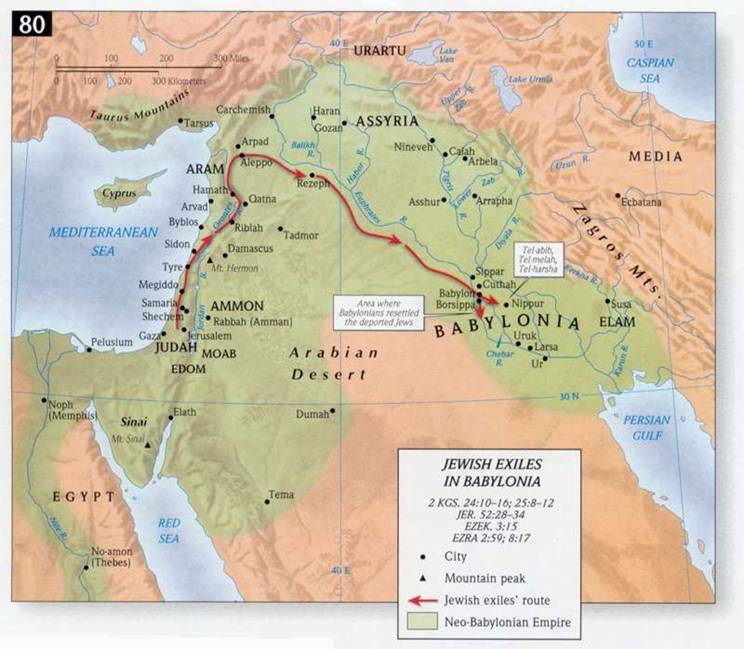 Map: Ezekiel’s prophecies took place in the city of Babylon. 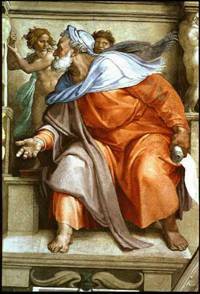 Timeline: Ezekiel's prophecies took place in the year 3352 from creation.